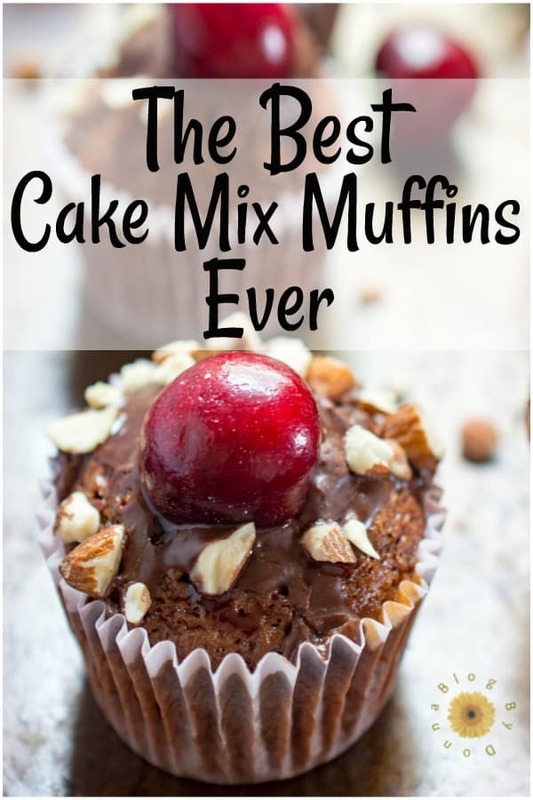 Cake mix muffins are one of my favorite ways to make muffins. Since I usually have cake mix in my pantry, it’s just more convenient. 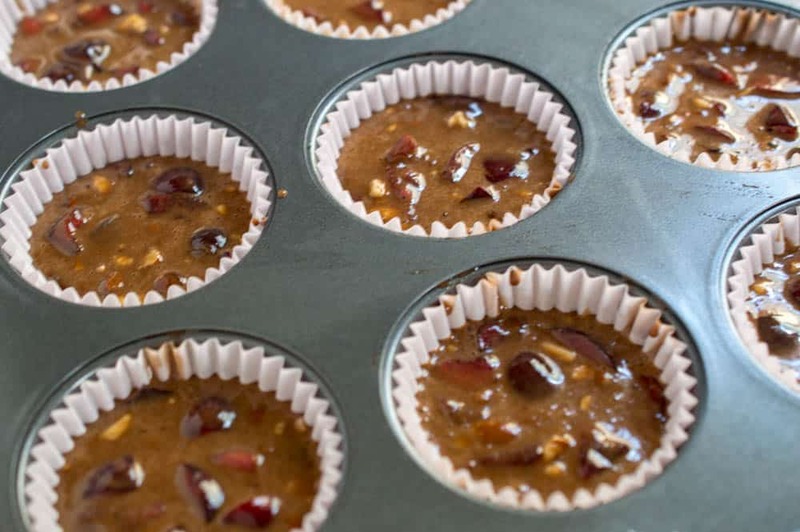 Cakes are higher in sugar and liquids and lower in fat so cake mix muffins will have a much lighter, fluffier texture than the traditional muffin batter. 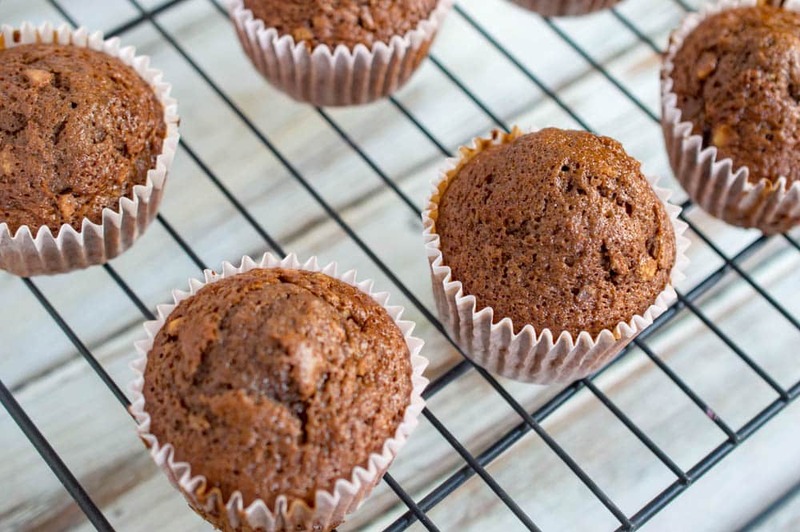 Muffins are more dense than a cupcake. 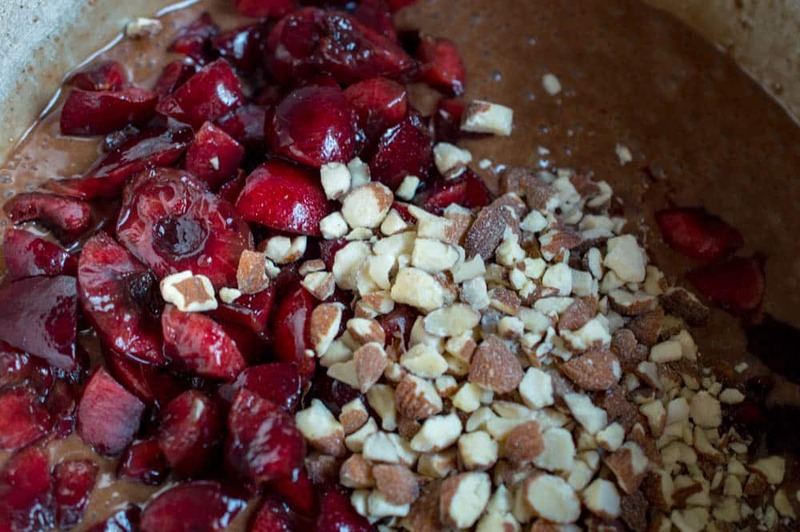 Pit, destem and chop cherries (using a cherry pitter makes this easier). 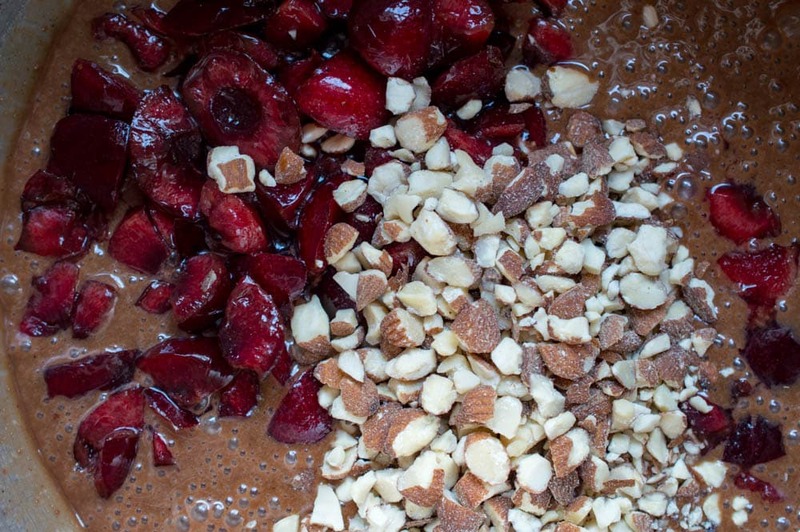 Using a KitchenAid mixer or electric hand mixer , combine the first 3 ingredients. Add the next 4 ingredients and mix until combined. Fold in the last 2 ingredients. 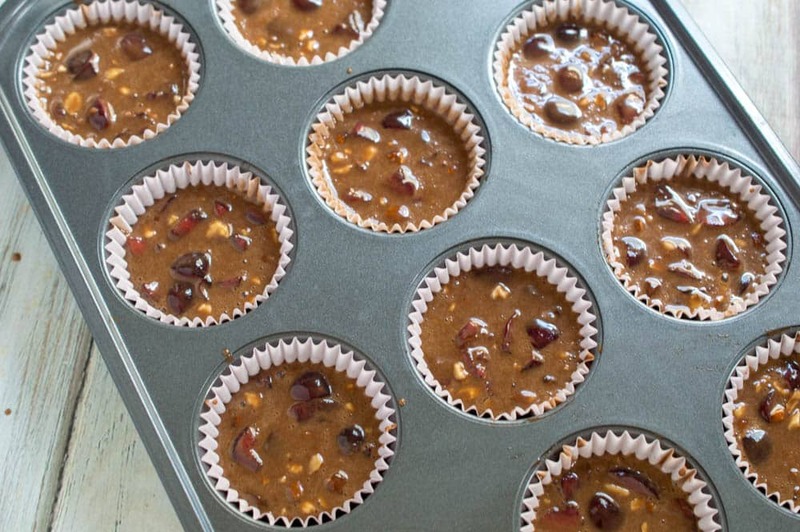 Scoop into muffin tins lined with paper cupcake liners , filling about ¾ full. 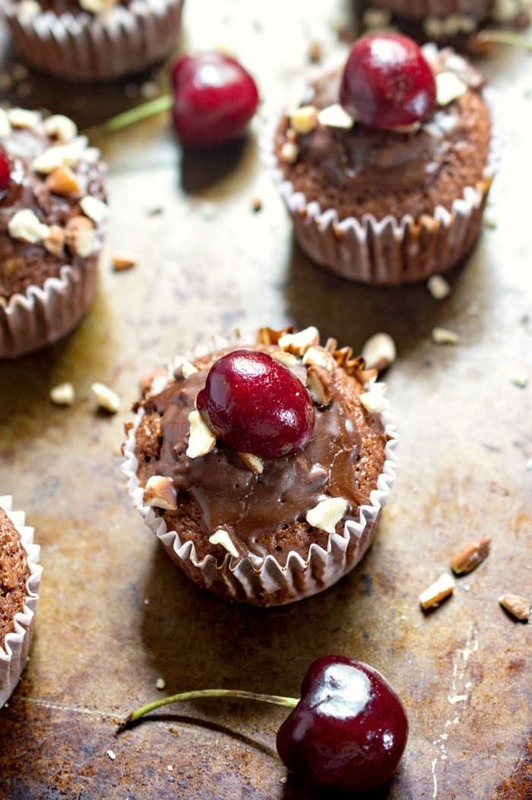 Optional: Top with chocolate glaze, a ½ cherry and chopped almonds. 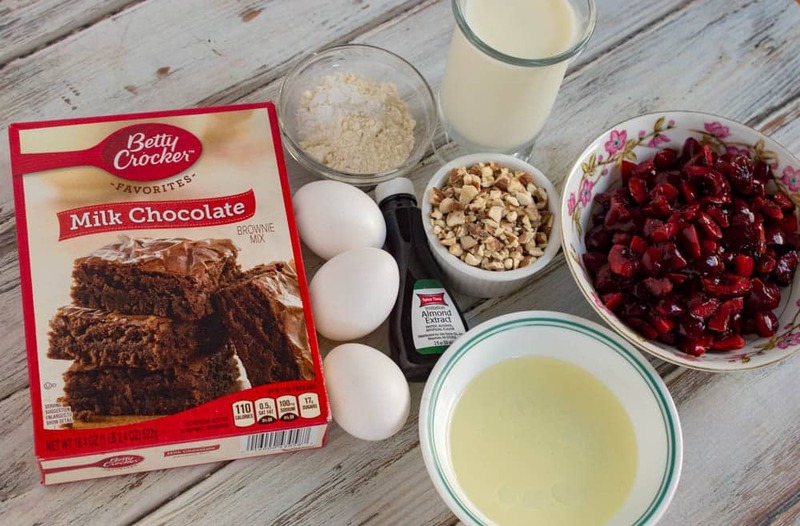 Note: Bake the muffins at the same temperature called for in the cake recipe, but reduce the baking time by one-third to one-half. 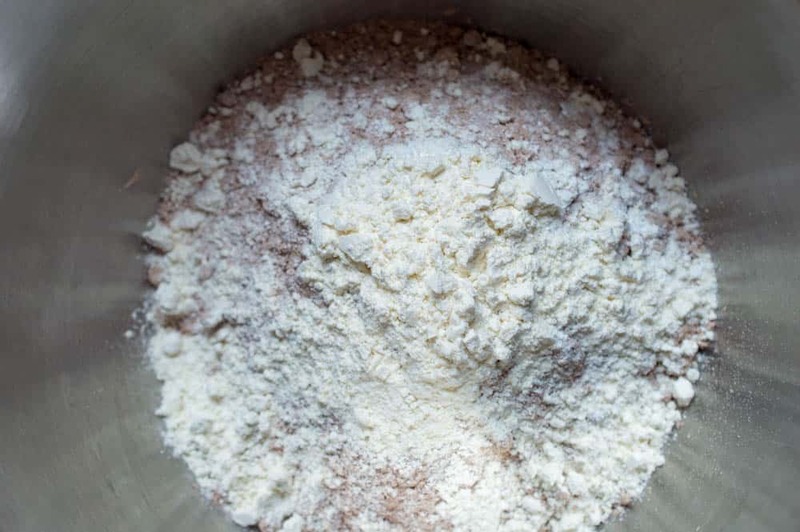 Whisk together the powdered sugar and cocoa powder. Slowly drizzle in milk, ¼ tsp at a time, stirring constantly until it becomes liquidy but not too thin. Dip cooled muffins into the glaze. 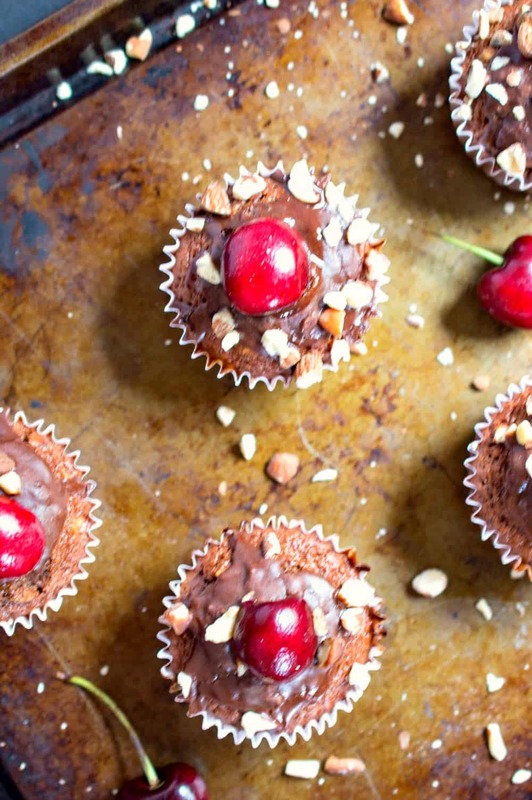 I’m a huge fan of cherries, whether just eating them fresh or using them in recipes. 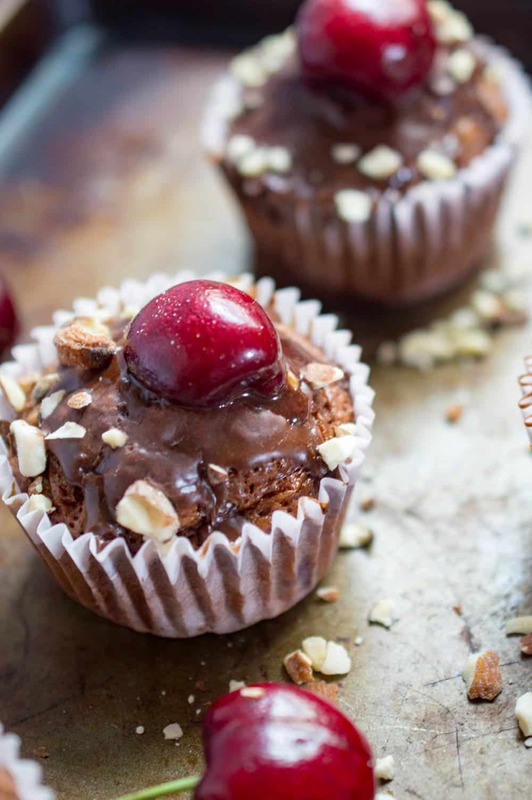 Some of my favorite cherry recipes are these Cherry Bomb Chocolate Covered Cherries and this Proscuitto Cherry Bites. 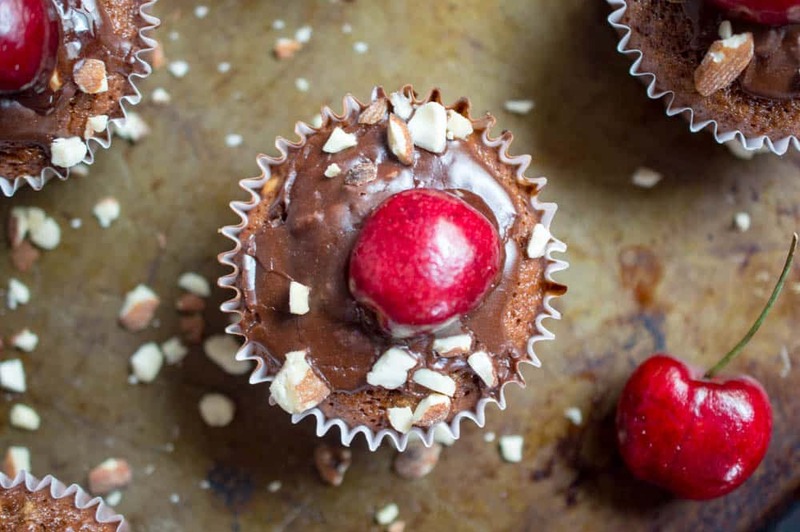 These cake mix muffins are great for breakfast, brunch, or as a snack. And they will satisfy chocolate lovers, too. 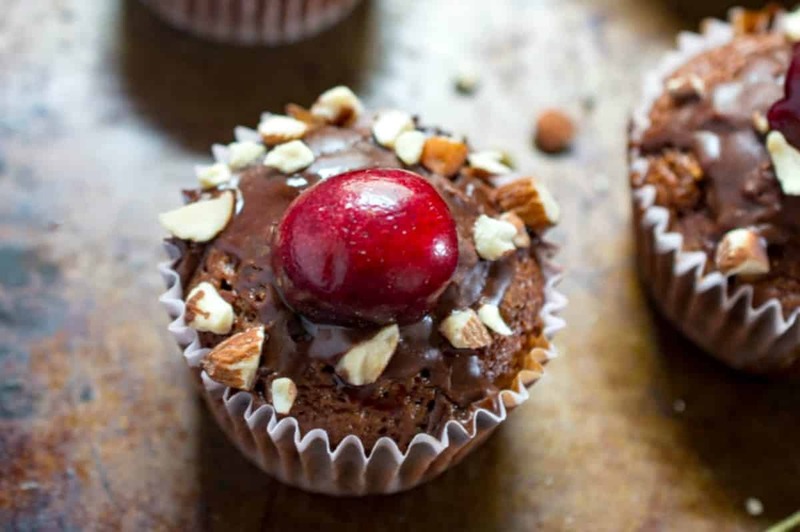 In fact, you can omit the cherries and substitute another fruit of your choice or leave the cherries out altogether and make just chocolate muffins. This are not only adorable but look delicious!! !